The Buffalo Bills were stocking up on offensive players. Guys who would protect him. Guys who would catch his passes. 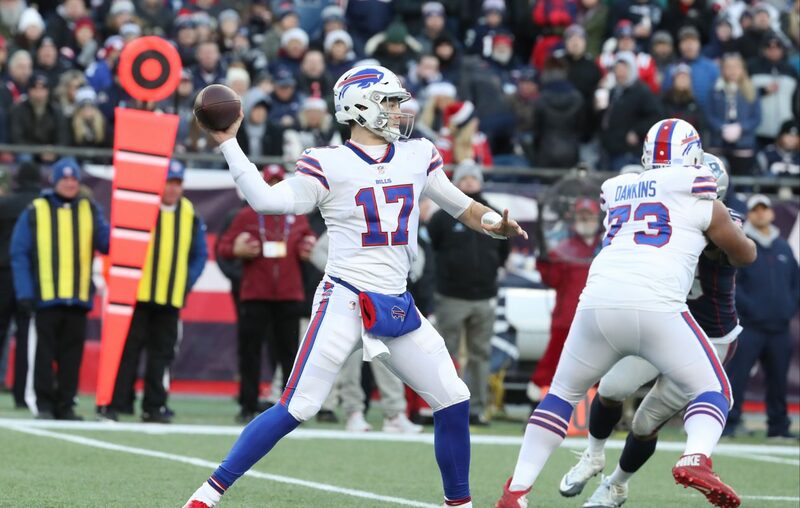 It was a flurry of activity, all clearly designed to do everything possible to help maximize Allen’s production in his second season as the Bills’ quarterback. Allen immersed himself in the process, staying glued to Twitter for the latest developments and then reaching out to newcomers to welcome them to the Bills. He wanted them to know how excited he was that they were “part of this wonderful franchise” and to “start trying to set that kind of culture of where we want to be.” Allen even sent a GIF to General Manager Brandon Beane to express his appreciation. Neither he nor Beane has been willing to publicly reveal the nature of the GIF, but the GM made it clear it was appropriate. That was then. The celebrating of free agents putting signatures on contracts is in the past. What matters now is what these players actually do to make the Bills, after last year’s 6-10 finish, better. More specifically, how much will they factor into Allen’s development and climb toward becoming the franchise QB the Bills envisioned when they traded up to the seventh overall spot in last year’s draft to get him? Allen did his best to pump the breaks on any notion the additions of projected Nos. 1 and 2 receivers John Brown and Cole Beasley, center Mitch Morse and other potential O-line starters, along with tight end Tyler Kroft and running back Frank Gore are part of a turning point for a franchise that has provided more disappointment than encouragement in the past 19 years. “It means we’ve got a lot of work to do,” Allen said. “A lot of different, new minds trying to work with each other now, trying to build that camaraderie, especially using this time to develop that team chemistry. There’s a lot of new guys, obviously, coming into a new system. Sounds like young Josh has mastered the art of managing expectations. The problem with that is expectations will be whatever the outside world determines. You don’t bring in a slew of offensive free agents, with the distinct possibility of having as many as seven or eight of them becoming starters, and not have people believe the “process” has been at least slightly accelerated. Allen offered a reminder that it is “a long time” before the Bills actually set foot on a field and that “nothing’s been set in stone” with the additions. Fair enough. There’s still next week’s draft, although Beane said Monday that the team doesn’t have a “glaring hole.” Translation: between the free-agent signees and the incumbents, the Bills enter the draft intent on doing more backfilling than pillar-finding as they did last year by using first-round choices on Allen and middle linebacker Tremaine Edmunds. At times, Allen comes across as someone who feels comfortable being a leader. He demonstrated as much by extending those personal greetings to his new teammates. At other times, though, he comes across as a 22-year-old kid with one NFL season as a starter – something that wasn’t supposed to happen quite as soon as it did – under his belt. “This is still new to me,” Allen said of his first NFL offseason. “So I’m still trying to figure it out, whether it’s scheduling or what to do on the weekends, what we do after 12 o'clock or when we’re not supposed to be here. But I’m looking forward to it. I’m looking forward to meeting, especially the new guys, and continuing the relationships with the guys that have been here off the field, will be there just hanging out. With all of that infusion of offensive talent, winning will be expected sooner rather than later.